This website is the organ of the International Network for Language Education Policy Studies (INLEPS), an association of scholars and researchers. This website has been created under the umbrella of the Division of International Studies of the University of Wisconsin-Madison (Wisconsin China Initiative) and of the International Network for Language Education Policy Studies (INLEPS), a scientific and educational association. See ByLaws HERE. 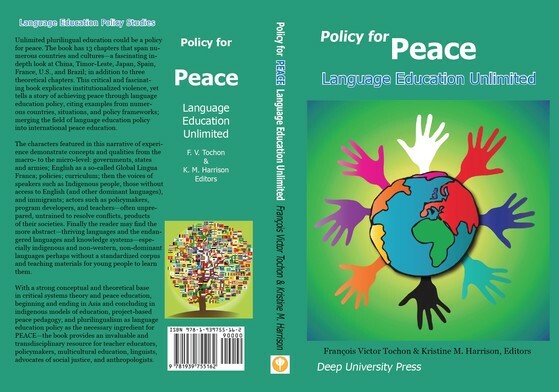 Language Education Policy (LEP) is the process through which the ideals, goals, and contents of a language policy can be realized in education practices. Two 2019 meetings are organized: on October 3-5 in Madison, Wisconsin (USA) with the collaboration of Prof. Jun Wang at Soochow University, Suzhou (China) to be confirmed, and at the end of December-early January in Mumbai by Prof. Shivaji Sargar, University of Mumbai. 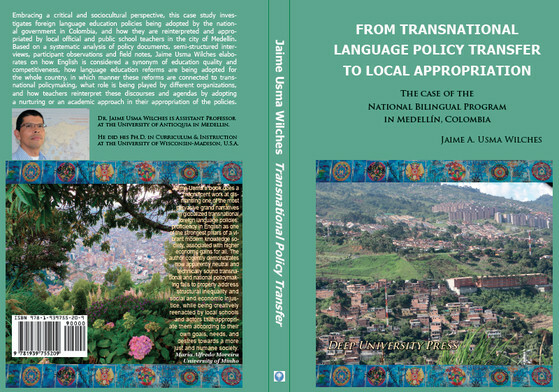 Our 2020 meeting will be organized at the University of Antioquia, Medellin (Colombia) at the time of the ELT Conference. More details as soon as possible. This website is to help the general public as well as students, researchers, Education administrators and policymakers obtain quickly vast amounts of information on current studies on the crucial issues pertaining to Language Education Policy studies, and make relevant and informed decisions. Each page on a topic has a brief summary, web links, videos, and a list of references. Language policies express ideological processes. 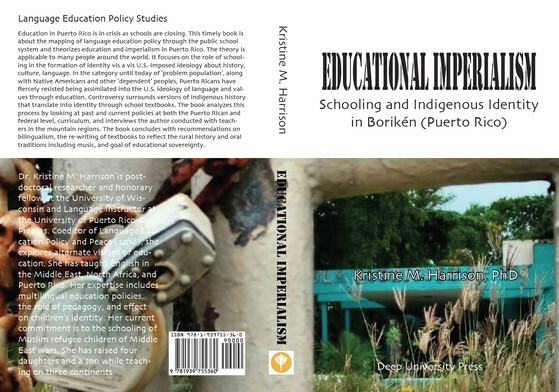 Their analysis reveals the perceptions of realities proper to certain sociocultural contexts. 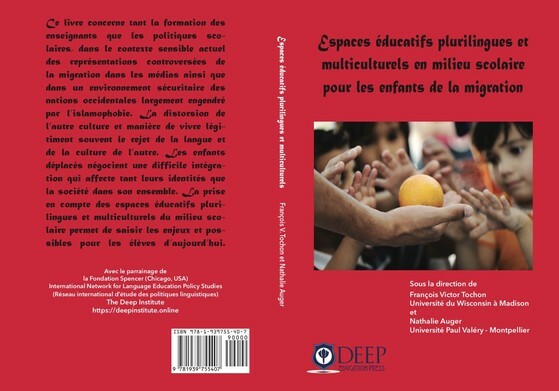 LEPs further their ideologies by defining and disseminating the values of policymakers. 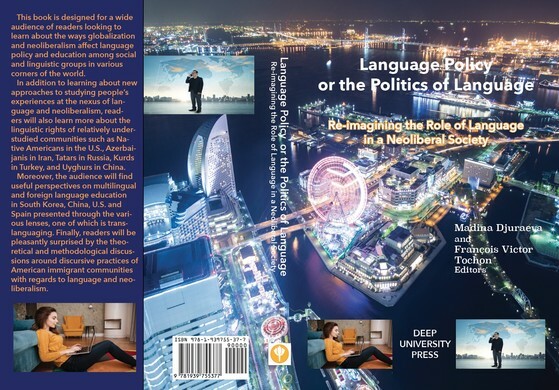 Because Language Education Policies are related to status, ideology, and vision of what society should be and traditions of thoughts, such issues are complex, quickly evolving, submitted to trends and political views, and they need to be studied calmly. The way to approach them is to get comparative information on what has been done in many settings, which are working or not, which are their flaws and merits, and try to grasp the contextual variables that might apply in specific locations, without generalizing too fast. 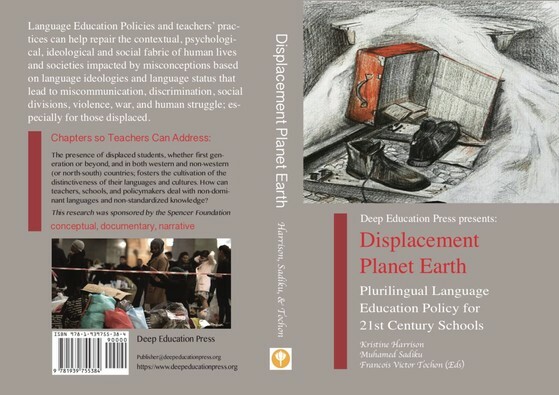 Policy discourses and curricula reveal the ideological framing of the constructs that they encode and create, project, enact, and enforce aspects such as language status, power and rights through projective texts generated to forward and describe the contexts of their enactments. 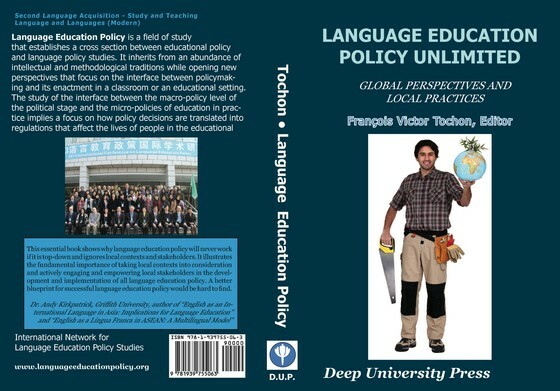 Policy documents are therefore socially transformative through their evaluative function that frames and guides action in order to achieve language reforms. While temperance and reflection are required to address such complex issues, because moving to fast may create trouble, nonetheless the absence of action in this domain may lead to systemic intolerance, injustice, inequity, mass discrimination and even, genocidal crimes. Therefore the position taken here is that we can't postpone the discussion on linguistic human rights on the mere assumption that languages are so fluid that they do not exist. Postmodern criticism is valid in its realm when it denounces abusive language, when constructs have been reified and are used for actions that betray the initial intent of such normalized expressions. However we need a vocabulary to intervene when language is used to build asocial differences that priviledge a few and impose forms of obedience on the many. The position here is transdisciplinary: we are looking for the included middle, rather than inheriting the Aristotelian logic of exclusion. We are looking for conceptual space in which A can coexist with non-A, as Lupasco (1951) suggested. 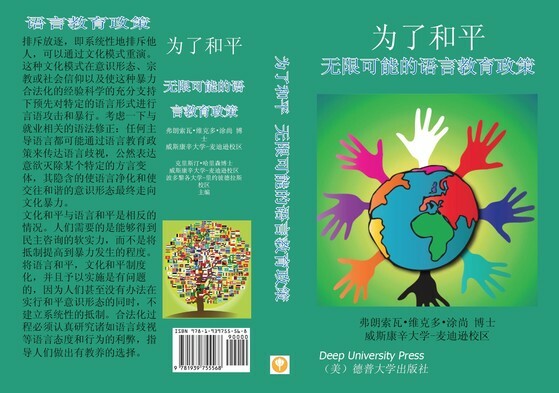 This website is a follow up of the First Conference on Language Education Policy organized in Shanghai in March-April 2013, as it was proposed by the partner universities to create a network of graduate students and scholars interested in such studies. If interested, please register as a member: you will be informed about our forthcoming activities. We organized a Research Conference on December 16-18, 2013, at the University of Granada (Spain); on June 14-15, 2014, the Third Conference on Language Education Policy Studies was organized in Kaohsiung, South of Taiwan (see HERE). The Fourth Conference was held on October 11-12 2014 in Brisbane, Australia, at the University of South Queensland, Springfield Campus. The Fourth Conference was held on October 11-12 2014 in Brisbane, Australia, at the University of South Queensland, Springfield Campus. See HERE. The Fifth Conference was organized at Southeast University in Nanjing, China, on April 3-5, 2015. See HERE. The Sixth Conference was organized on October 17-18, 2015, at the University of South Queensland, Towoomba campus, Australia. See HERE. A three-day symposium on Migration, Mobility and Displacement was organized with INEI on Nov. 7-9, 2016 at the University of Wisconsin Madison (USA). There were two meetings in 2017. The first 2017 meeting was held on March 15-17 at the University of Wisconsin-Madison. The second meeting was held on May 22-24 at the Université de Paris 3 Sorbonne Nouvelle, France. 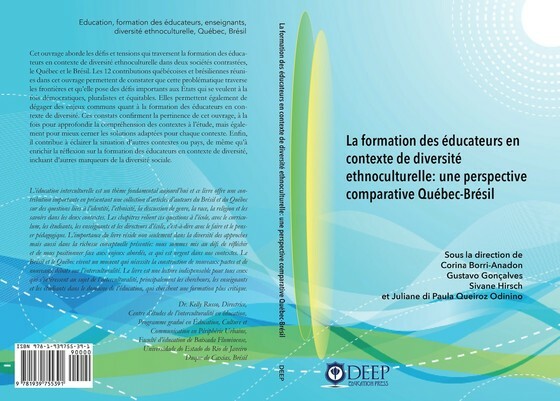 It was organized in collaboration with IDAP and the DILTEC EA 2288 research laboratory under the guidance of Dr. José Aguilar Rio and Dr. Catherine Mendonça Dias, on Language Education Policy and Identity Inclusion of Migrant and Displaced Students (Politiques linguistique en éducation et inclusion identitaire des élèves migrants et réfugiés). SPECIALISTS IN LANGUAGE EDUCATION POLICY STUDIES ARE INVITED TO CONTRIBUTE TO THIS WEBSITE. PLEASE CONTACT US, CREATE YOUR OWN PAGES ON TOPICS IN YOUR FIELD OF EXPERTISE, AND SHARE. THE MENTION OF THE AUTHOR IS MENTIONED AT THE BOTTOM OF EACH PAGE. References will be updated in Fall of 2019 with several new pages. We are creating new thematic pages. We appreciate any feedback you may have. You might have additional references that will help us keeping this website complete, balanced, and current. Lupasco, P. (1951). Le principe d'antagonisme et la logique de l'énergie: prolégomènes à une science de la contradiction (The antagonism principle and the logic of energy: Prolegomenon to a science of contradiction). Paris: Hermann.